Blog What's on your writing desk, Cynthia T. Toney? 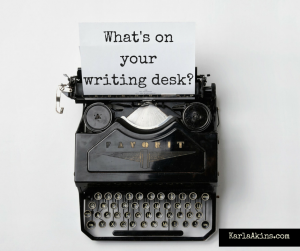 What’s on your writing desk, Cynthia T. Toney? When she’s not cooking Cajun or Italian food (yum! ), Cynthia writes historical and contemporary teen fiction containing elements of mystery and romance. The first edition of her debut novel, Bird Face, won a 2014 Moonbeam Children’s Book Award, Bronze, in the Pre-teen Mature Issues category! 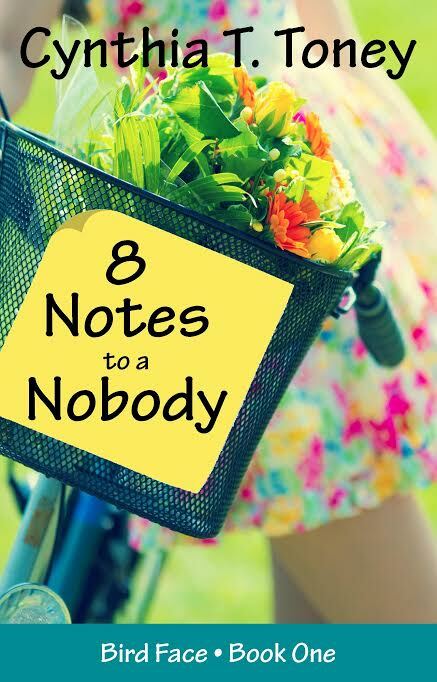 With a new publisher for an entire Bird Face series, the original story is now Book One and titled 8 Notes to a Nobody. 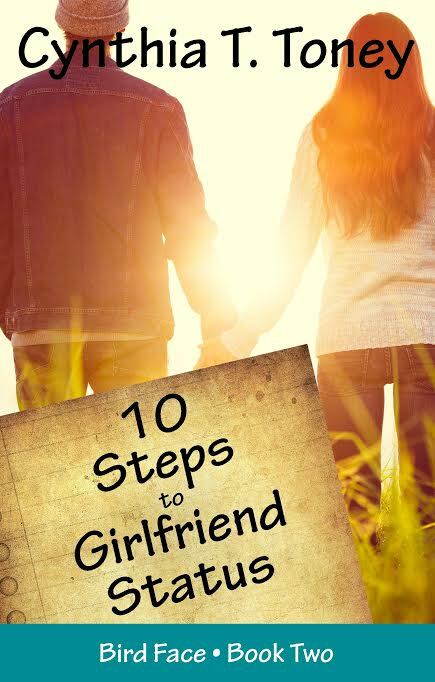 Book Two is 10 Steps to Girlfriend Status. 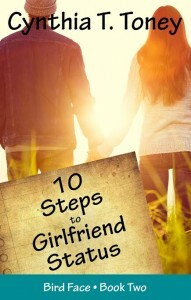 Look for more books in the series in the near future from Write Integrity Press. 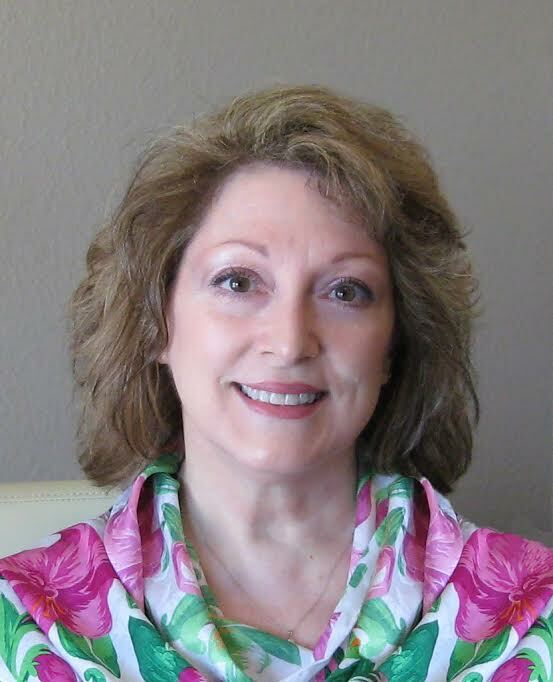 Let’s find out where Cynthia creates these award-winning books! 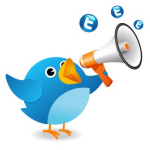 Karla: Cynthia, I’m so excited to have you on my blog today. 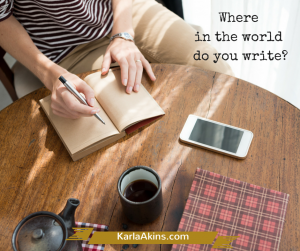 Tell us all about your writing nest. 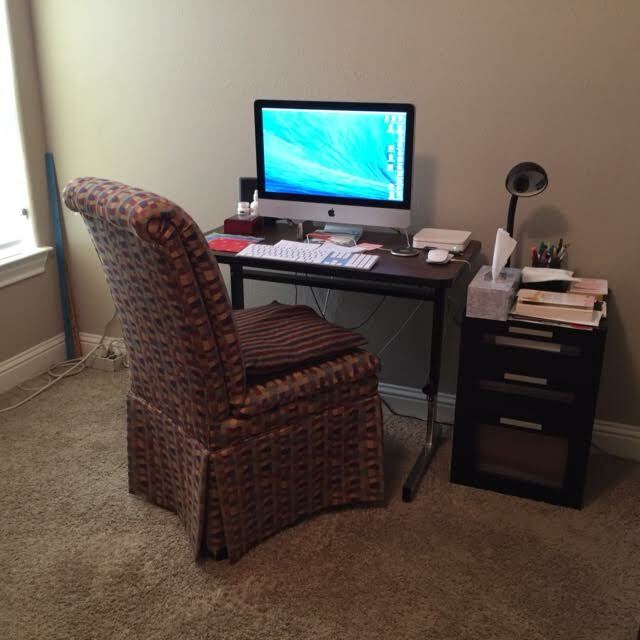 Cynthia: My current workspace was meant to be temporary when my husband and I moved 500 miles from Mississippi to Texas in April, but I’ve become quite comfortable in what will soon become the guest room. So one photo shows a space in use, while the other shows a space I’m designing in the designated office/study of the house. It looks so fresh and clean, I hate to move the computer and other stuff in there. Karla: Oooo, I love that curved desk. The carpet is lovely, too. I’m a snacker when I write (unfortunately). 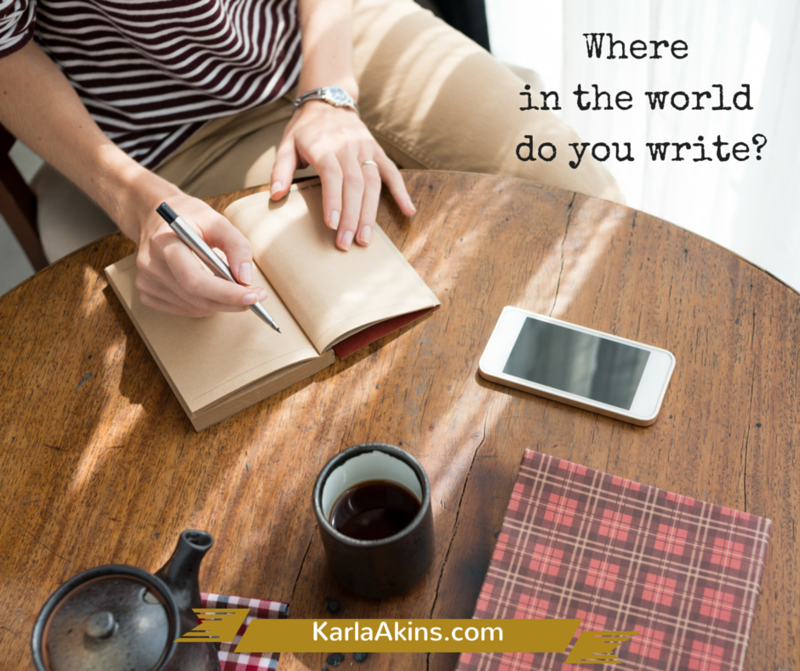 Do you have anything nearby when you’re creating? A colorful napkin for use when snacking. I’ll eat almost anything at my desk, but today I tried to be good and ate baby carrots. Brain supplements. A bottle of DMAE sits there now. Tissues. Not just for crying. A cushion for the tushie. A novel by an author I admire. My paper files, although poorly arranged. I would’ve made a terrible secretary. A dog or two or three, although they made themselves scarce when I started taking photographs. Karla: Oh, I can totally relate to baby carrots, DMAE (I take other brain supplements but they are near me at all times!) and furry editors. Is there anything else you’d like to share with my readers? 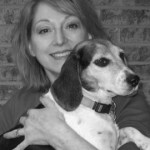 Cynthia: I love rescued animal-shelter dogs and the friendly South from Georgia to Texas, I love connecting with readers online and hope to hear from them. Karla: I knew we were kindred spirits! 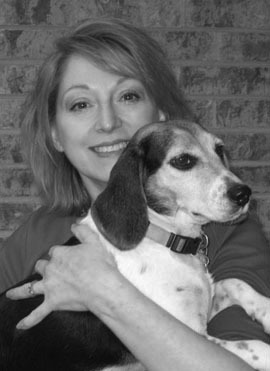 I have furry rescue babies at my house, too! They’re the best kind. 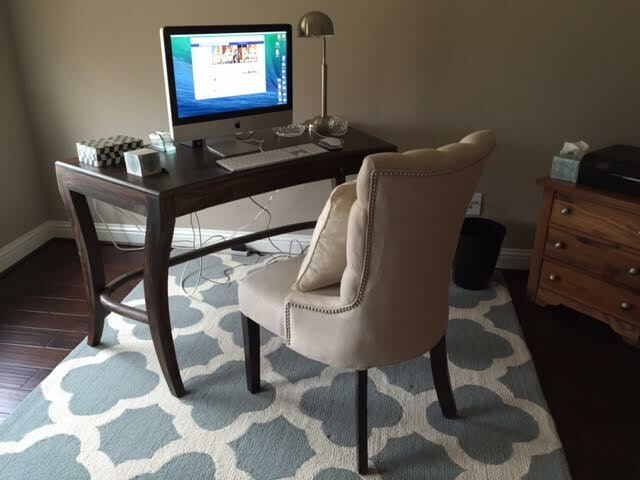 Tweet this: Check out @CynthiaTToney ‘s writing lair! 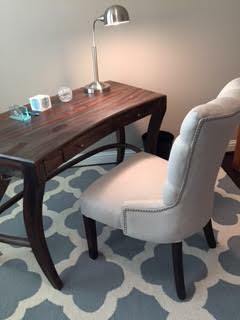 Would you like to share your writing space with my readers? If so, you can find out how here: What’s on your writing desk? Thank you, Karla! This was a lot of fun. Thank you so much for participating, Cynthia! 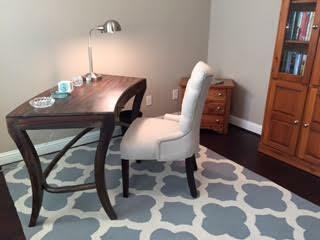 I just love your serene work space. Enjoy!